6 - 1 yd. pieces of coordinating fabric - make sure to include lights, mediums and darks. Also you will need a background - at least a yard. (This could actually be one of your 6 - 1 yd. pieces). This is enough to get started on your blocks but you will also need sashing and borders. If want to get that now to save for the end of the project you will need 1 yd. for sashing and 2 1/2 yds for border and binding. We will be collecting blocks for a Quilt of Honor for one of our brave wounded soldiers. 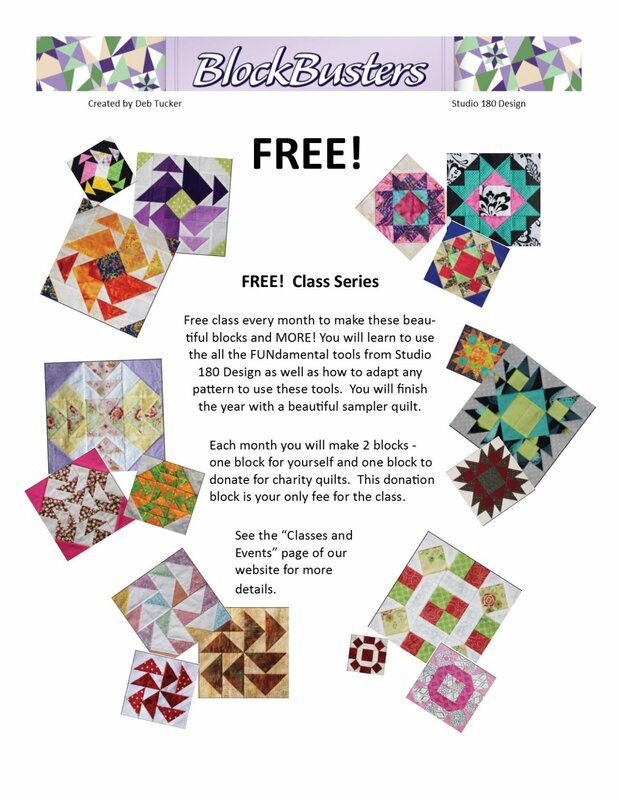 A group of assorted fat quarters to use for your donation block will work just fine. You will need background fabric and an assortment of red and blue tone on tones with maybe a little gold for the donation blocks. This will be scrappy so you can start with 4-6 fat quarters and add more fat quarters as you use them up. Hopefully we will collect enough blocks to make several Quilts of Honor. Other than the fabric listed above, you will need basic sewing supplies - rotary cutterm machine, pins, snips or scissors and the Deb Tucker tool of the month. I will send an email the week before each class with a note about which tool we will be using and any pre-cutting information needed.